If you’ve got certification credentials, advertise them. Put them in your Yellow Pages listing. Have them printed on your business cards. Emblazon them on your service vehicles. Why? Because they make you different from everyone else; they help you stand out among your competitors. If the general public doesn’t know much about the water systems business, any additional information you give them to help make a decision about whom to call will be much appreciated. Think about it. You may not be able to tell one accountant from another, but I’ll bet you’ll call someone with CPA after his name before someone without. Your internist may be an MD like any other, but if you see accreditation from the AMA, AARP, or anywhere else, you’ll feel better about him—even if you don’t know what the accreditation entails. You get the point. I don’t care which certification you espouse; that’s up to you. Check them all out, learn the framework of each program, see which one will best help you SELL YOURSELF. Set yourself apart. That’s what it’s all about. This entry was posted in Business Tip and tagged advertising, Certification, credentials by Tammy Davis. Bookmark the permalink. This article is dead on target! There is another benefit to these certifications beyond giving the uninformed public a decision factor though. That benefit is that you have to earn these certifications, you must increase your knowledge to attain them. In doing so you become more effective, efficent and profitable which is a win-win for YOU! 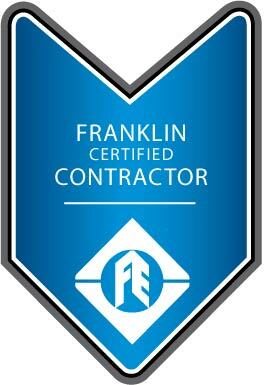 Give yourself the gift of a better set of tools than your competition by seeking and promoting as many certifications as you can attain.